This finishing powder which won't make you look older, is packed with anti-aging ingredients and gives a true airbrushed look that works on all ages! IT Cosmetics's creater could never find a powder that looks flawless on mature skin, and Bye Bye Pores Silk HD Anti-Aging Micro-Powder does! 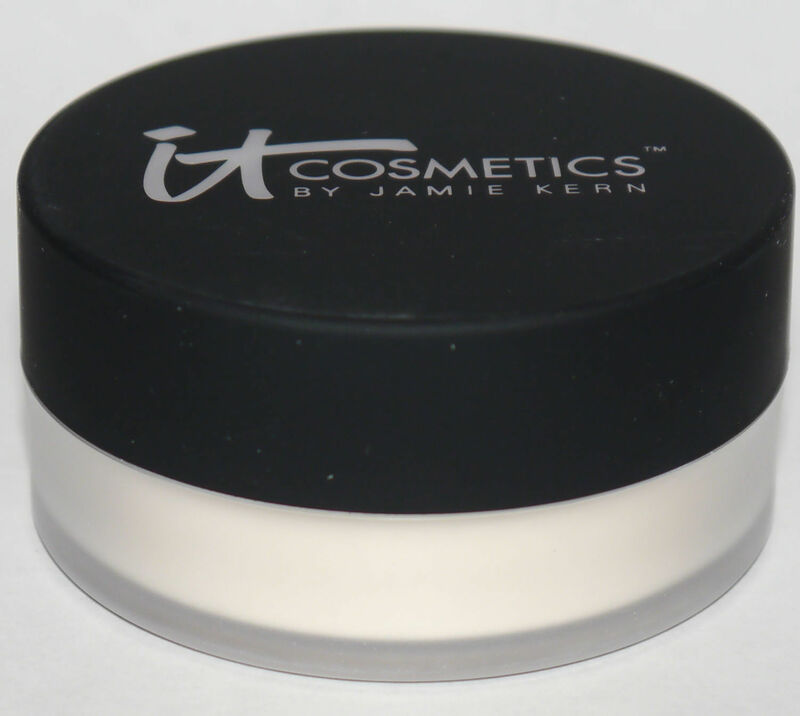 This is an award winning anti-aging, face finishing powder that delivers a face-perfecting airbrush effect. It absorbs oil and shine, and blurs away the look of pores, without settling into lines and wrinkles. It sets makeup and helps to diffuse the appearance of wrinkles and pores instantly. It is for anyone who wants anti-aging benefits and wants to instantly blur away the look of pores and imperfections, diffuse the look of lines and wrinkles on the face, and achieve a more radiant looking, flawless and air-brushed looking complexion. 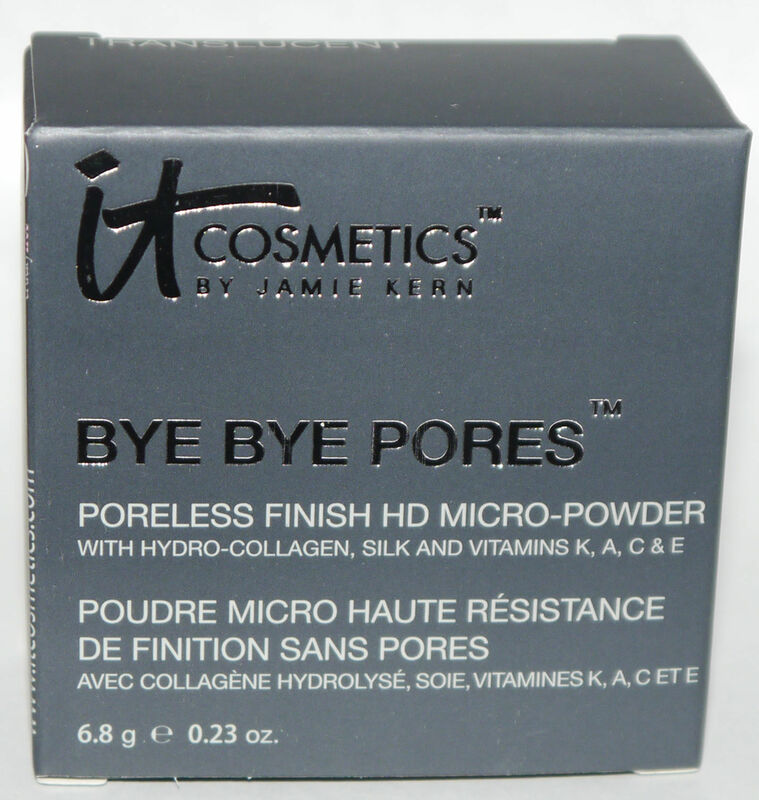 Developed with leading plastic surgeons, and using anti-aging ingredients including hydrolyzed collagen, and vitamins A, C, E & K, this award-winning micro-finishing powder helps treat skin with anti-aging benefits and give a more youthful radiance while blurring away the look of imperfections. Translucent and colorless. Formulated without talc, parabens, sodium lauryl sulfate mineral oil, petrolatum, synthetic fragrance, and phthalates. Apply as a final step in your makeup routine. Pair it with the IT Cosmetics Heavenly Luxe Wand Ball Powder Brush to dust a small amount all over your skin, wherever you desire a flawless, airbrushed finish. Absorbs oil and perfects the look of your skin. Perfect to set concealer and foundation, or wear as a face-finishing perfecting powder directly on bare skin. A small amount of this powder goes a long way!